Updated: June 8, 2012; added another video. On Thursday, District Judge Katherine Forrest finalized a ruling on the controversial National Defense Authorization Act signed by President Obama. Last month Forrest ruled the NDAA unconstitutional and now decided no American should be subject to indefinite detention. Since the beginning, NDAA was confronted with hefty criticism and caused of group of activists and journalists to sue the Obama administration over the act. One of the plaintiffs, Tangerine Bolen, executive director for Revolution Truth, joins us to discuss the court’s ruling. Tell Obama and Senate: End Indefinite Detention Now! More great news on the NDAA lawsuit: Federal Judge Kathryn Forrest just rejected the Obama administration’s request that she reverse her ruling against indefinite detention. In May, Chris Hedges, Revolution Truth, et al won their lawsuit asserting that indefinite detention violates the Constitution. More than 50,000 Demand Progress members have signed on as supporters of the lawsuit. Obama requested a reversal of the decision, which was just rejected. Now Obama needs to decide if he’ll take his crusade against the Constitution to a higher court. And the Senate is taking up indefinite detention as it debates this year’s NDAA later this month. Please sign up at right to urge Obama and the Senate to stop supporting indefinite detention. Obama signed last year’s National Defense Authorization Act even though it included provisions which could let the military detain civilians indefinitely without a trial or charges. 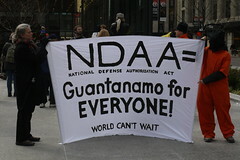 Despite a valiant effort by opponents, the House retained indefinite detention when it passed the new NDAA last month. The Senate will take it up soon, and President Obama can drop his defense of it in court. 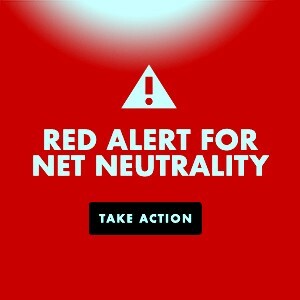 Just add your name at right to send emails to Obama and the Senate right away, and please share this with your friends by using the links below. Thursday marked another victory against the battle on the National Defense Authorization Act. District Judge Katherine Forrest not only sided with the plaintiffs suing the Obama administration, but with every American. Section 1021 of the act, which allows for the military to indefinitely detain Americans at home and abroad without due process has been met with heavy criticism causing the group of individuals to file the lawsuit. David Segal, executive director for Demand Progress, joins us with more. Another win for the critics of the controversial indefinitely detention law known as the National Defense Authorization Act. A federal judge has ruled that the US government cannot use the law to indefinitely detain Americans. This comes as a result of a group of activist and journalist who sued the Obama administration over the provision claiming it’s unconstitutional and extremely vague. Carl Mayer, attorney for The Mayer Law Group, joins us with more on the case. This entry was posted in Action Alert, All Posts News Politics and-or Videos, Civil Rights, Dandelion Salad Videos, Police State, Politics and tagged Carl Mayer, David Segal, Indefinite Detention, Katherine Forrest, Meet the new boss the same as the old boss, National Defense Authorization Act, NDAA, Police State on Dandelion Salad, Tangerine Bolen. Bookmark the permalink. Will someone get this guy to return his ill-deserved Nobel prize?? ?